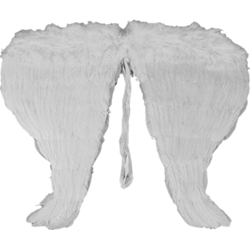 The Angel Feather Wings are available in 18” and 24” sizes. These Wings are fantastic for an Angel costume, or for your own custom fantasy costume. Whether you need Angel Feather Wings for Halloween, a convention, or another event, you’re sure to look angelic.